This wing chair brings a chic, feminine accent to any living room or seating area. The flared wings create elegant lines for an eye-catching silhouette. Tapered legs and track arms balance out the dramatic winged back for contemporary relevance. 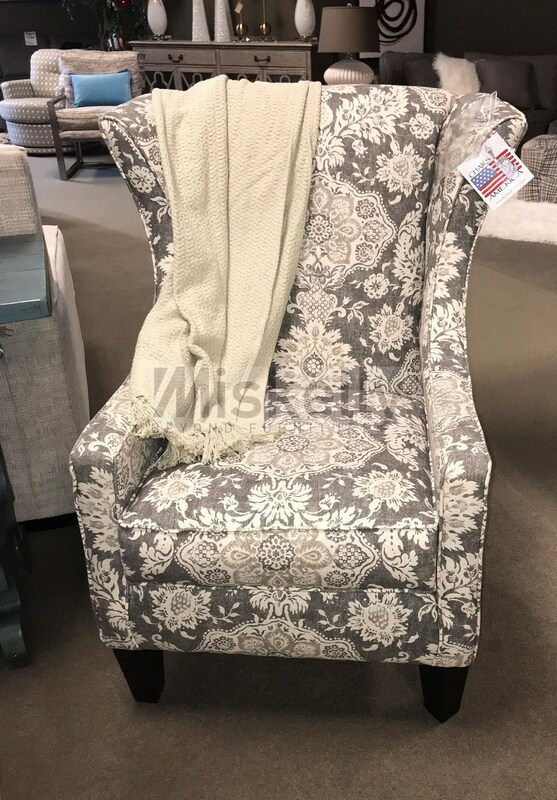 The Accent Chairs and Ottomans Wing Chair with Tapered Legs by Chairs America at Miskelly Furniture in the Jackson, Pearl, Madison, Ridgeland, Flowood Mississippi area. Product availability may vary. Contact us for the most current availability on this product.